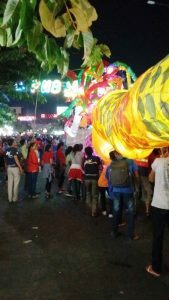 Siem Reap Puppets On Parade 2017! 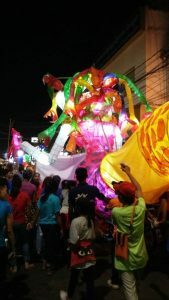 In this post we pay a visit to Siem Reap, Cambodia, where children from the Friends Kaliyan Mith Siem Reap program (KMSR) have been among many enjoying the carnival atmosphere of the annual Giant Puppet Parade through the streets of the city! 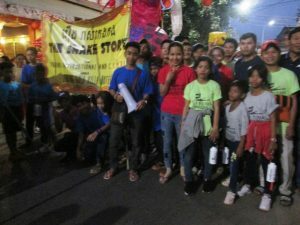 “On Saturday 18 February, children from KMSR participated in the Giant Puppet Parade through the streets of Siem Reap. The Giant Puppet Parade first got underway in 2007. It’s an annual community arts project which provides a creative platform for disadvantaged children to foster and promote confidence and self-expression through art. 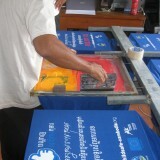 This year around 500 children from schools, NGOs and communities across Siem Reap attended workshops led by artists from ‘Phare Ponleu Selpak’ It was at these workshops they created the giant puppets to be used in the parade. The theme for this year’s parade was the film industry and folk tales in film. In early February, 30 children from KMSR attended a 2 day workshop to build a giant puppet of Keng Korng (the Snake King). The parade of the finished puppets was quite an event! 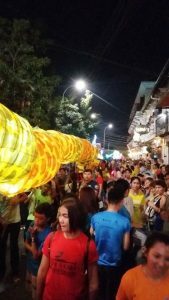 Starting near the old market and ending at the Royal Gardens, thousands of locals, expats and tourists came out to join in and to watch the giant puppets as they meandered through the streets of Siem Reap town in a riot of dazzling colors.